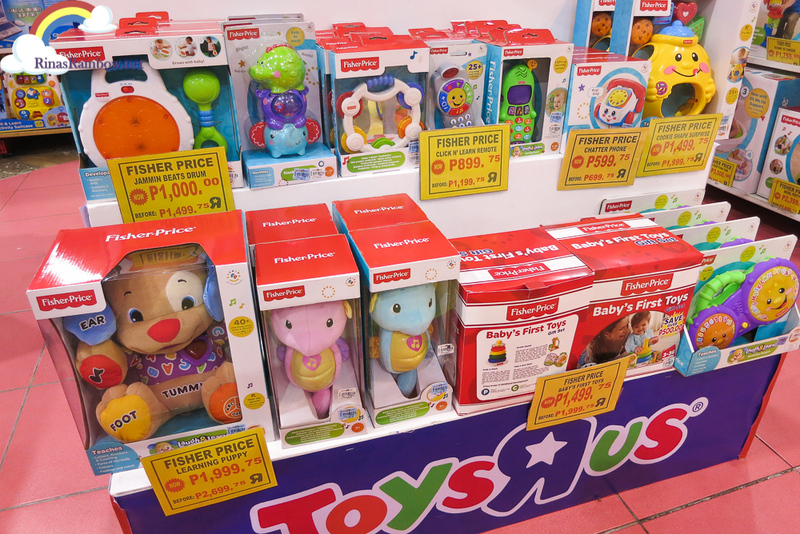 Rina's Rainbow: Fisher Price, Chicco, and More on SALE at Toys R Us Robinsons Mall! Fisher Price, Chicco, and More on SALE at Toys R Us Robinsons Mall! 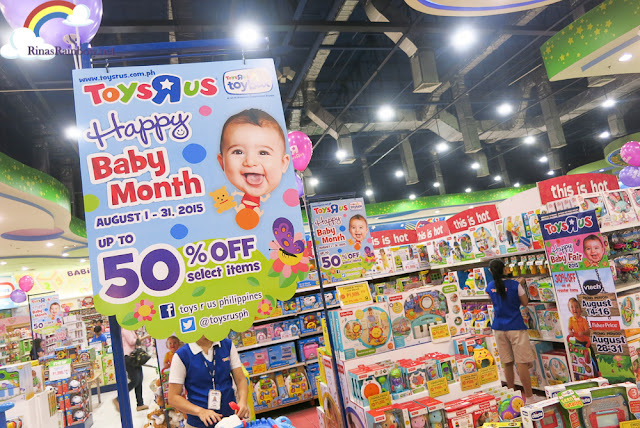 One of the places that I really made sure I visited during my day in Robinsons Galleria was to drop by Toys R Us. I love love love getting toys for Rain! (This partly the reason why the house has so many stuff. Toys in the living room, toys in the guest room/office, toys in Rain's room, and toys in the Master's bedroom. (We need more space soon!). Anyway, I really enjoy even just walking around Toys R Us and looking at the latest girly toys now. 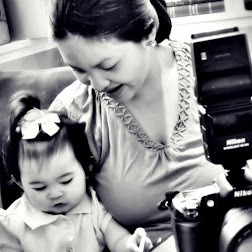 Just like how I was excited to look at nice baby learning toys when she was still a baby! So imagine how my excitement tripled upon seeing cool toys with excellent quality go on a HUGE SALE! Again it's thanks to Robinson's Mall Red Hot Sale 2015! Check out these awesome fun and learning toys! 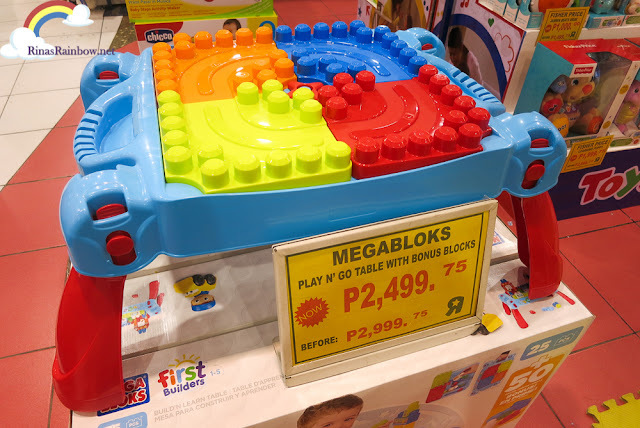 Megabloks Play N' Go Table with bonus blocks! It's a building table where your kids can build little towns, or whatever they can imagine. It comes with 4 fun scenes, stickers, a person figurine, and a little car so you can build small villages or something with 20 huge and colorful blocks that come with it! What's also cool is that this table is a fold-and-go. You can easily fold the legs up, hold it by the handle, and go! This awesome building table was originally P2,999.75, and this month will be down to P2,499.75. That's P500 OFF! 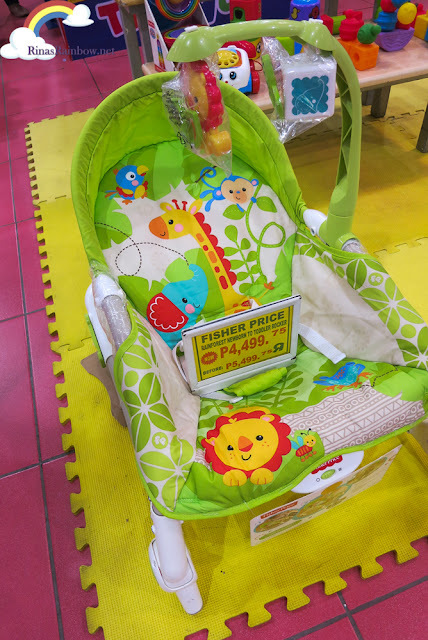 Every new mom or mom-to-be will be excited for sure when they find out that this Fisher Price Newborn-to-Toddler Portable Rocker is on sale! This Rocker can be converted from a stationary seat, and into a rocking one. In fact, it's actually got 3 reclining positions! And amazingly enough, it also has a battery-operated calming vibration that helps soothe infants. This can be used for babies as early as newborns up to toddlers (18 kg or 40 lbs). It's a great chair for them to play in with its toy bar, or for eating time, or simply just chill time. The seat cloth part is washable by the way! ;-) I'm actually bummed I didn't get Rain one when she was a baby. I think she would have really enjoyed this! Anyway, the most exciting part is that it's P1,000 OFF!!! From 5,499.75 to now P4,499.75! 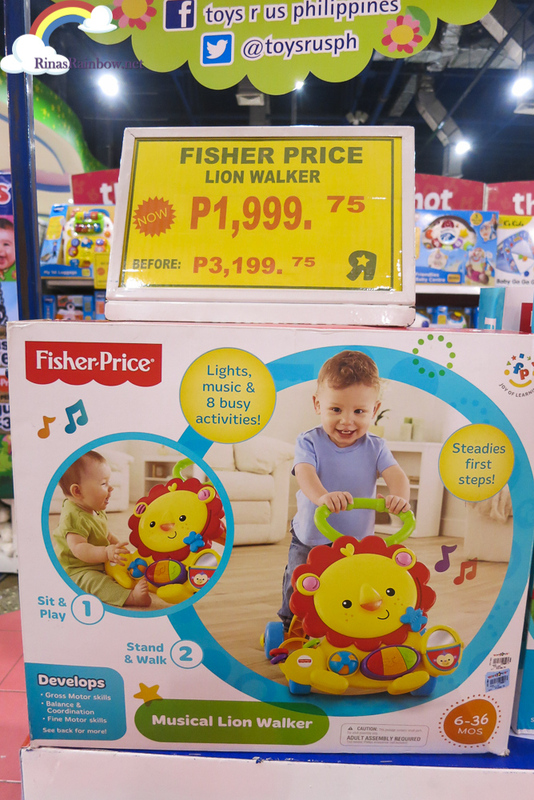 This Fisher Price Lion Walker is amazingly super low!!! From P3,199.75, to now P1,999.75! That's P1,200 in savings! It's got tons of activities for your little one that also helps them strengthen their muscles, practice their balance and coordination when they try to sit up or stand up to play with the different activities on the walker, and when they try to walk and push the lion around! 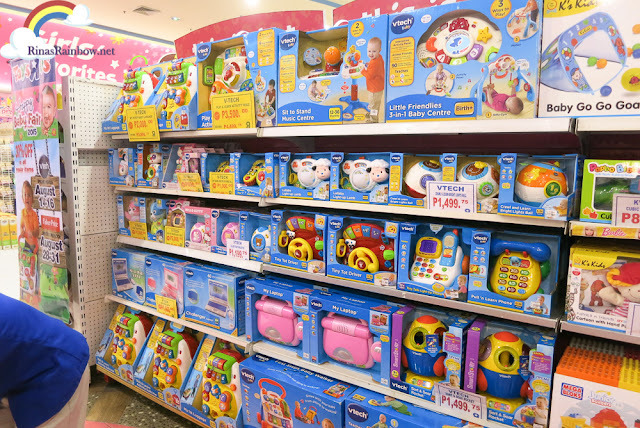 Lots more classic basic learning toys from Fisher Price are on sale for the Red Hot Sale 2015, and these Chicco high-tech toys! 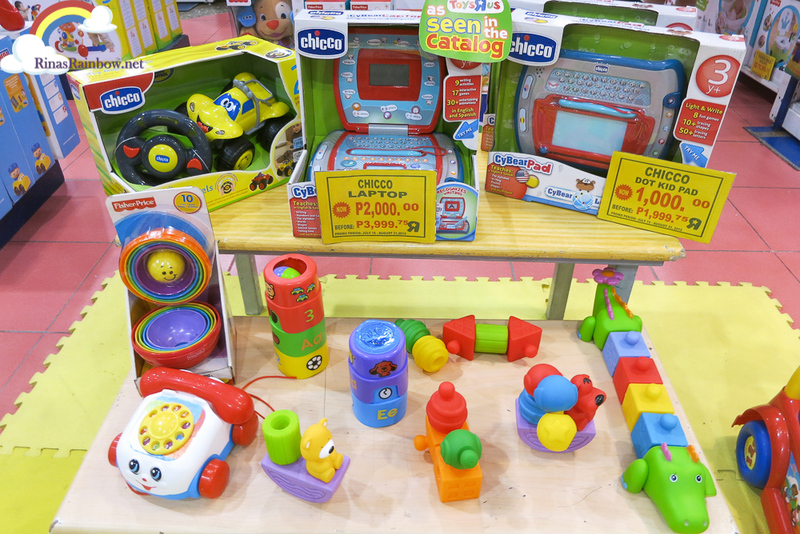 The Chicco Laptop is P1,999 OFF! 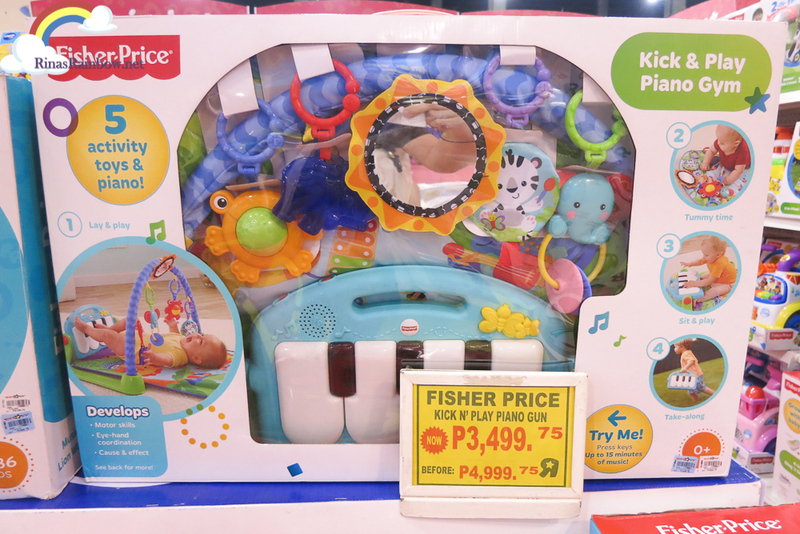 And the Chicco Dot Kid Pad is P999 OFF! I was contemplating on whether to get this for Rain or not because it was a lot cheaper now! P1,299.75 OFF! The VTech Kidwatch is a cool fun digital watch with an LCD backlight that helps tell kids the time. You can switch it from digital to analog time. Your kids will also hear the time announced, or if they want, they can also record their own voices to tell the time. Plus, it has 2 built-in games, one of which is like a virtual pet if I'm not mistaken. 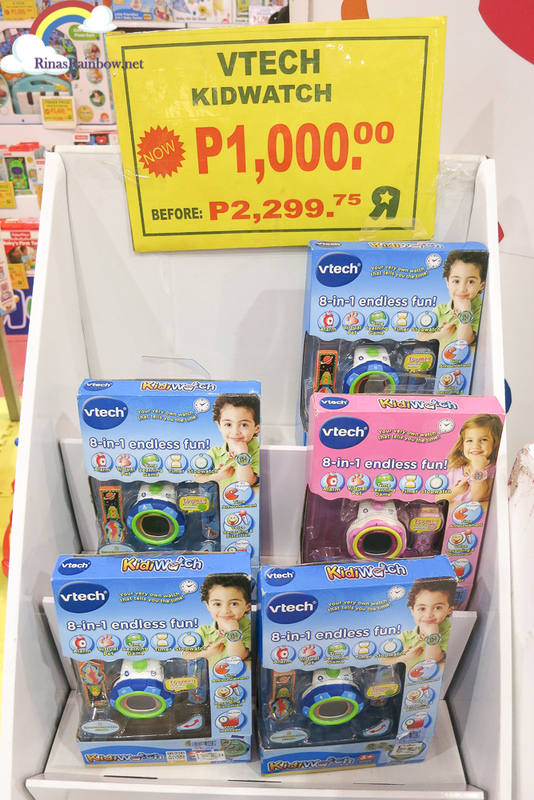 Ang lots of VTech toys are on sale too for this month's Robinsons Malls Red Hot Sale 2015 happening for the whole month of August! 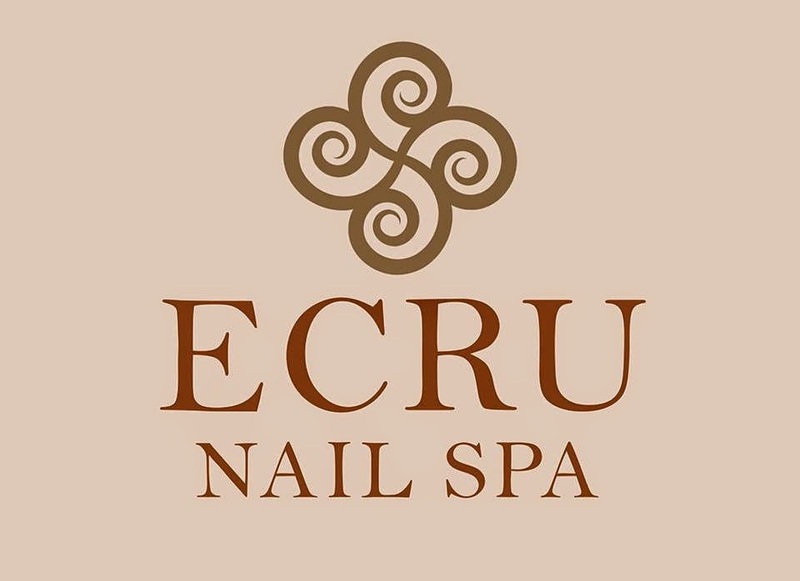 Enjoy huge sales up to 70% OFF!!! Check out the list of participating stores and Robinsons Malls towards the end of my first blog post HERE. It also includes details on how you can win 1 of 100 Devant tablets for single receipt purchase of P1,000 from any retail outlet of participating malls. You’re able to modify the software right from internet to make sure you analog effort. 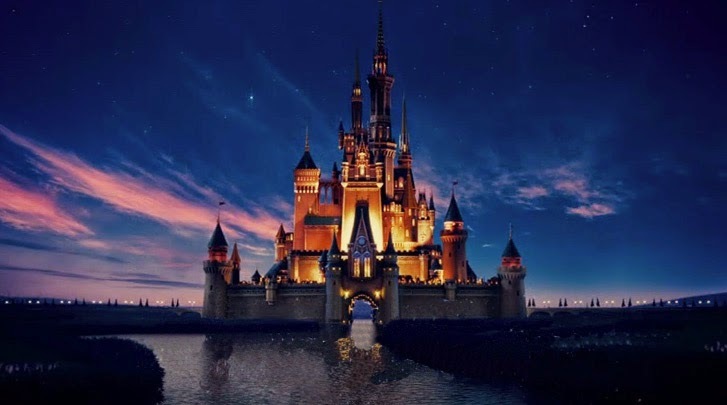 Your sons or daughters might also discover made the effort published, or possibly assuming they intend, they are equally capture ones own suggests to find out made the effort. Also, it consists of some built-in game, one in every of which is certainly such as internet dogie any time We're not likely wrong. Your toes region of some people health and fitness contains it standing upright computer keys through tremendous house keys. With the intention that once infant's have fun and even punch ones own base, some people try to make favorite songs! Really sit back and watch it friendly newly born baby As i witnessed at Video hosting sites owning the precious time in his particular everyday life.